Highlight Arts brings you a dynamic dialogue between archival Scottish film work relating to Greenland, a powerful contemporary sound work responding to it, and a contemporary, Greenlandic, personal voice. This special HIGHLIGHT ARCTIC evening will feature a screening of rarely seen filmic works by pioneering Scottish botanist and explorer Isobel Wylie Hutchison, accompanied by a newly-commissioned live musical score by Scotland-based contemporary composer Atzi Muramatsu, and a performance/poetry reading by cutting edge Greenlandic Inuit performance artist Jessie Kleemann. Hutchison’s short films – Kayak Rolling, The Great Jakobshavn Iceberg Bank and Flowers and Coffee Party at Umanak – inform new works by two contemporary artists, setting up connections between the past and the present, across continents, time, viewpoints and identities. In addition, the live performances will be followed by an informal conversation between the artists and Highlight Arts. This will allow the audience to ask questions and hear the thoughts behind the project as well as the works featured on the night. ISOBEL WYLIE HUTCHISON was a Scottish filmmaker, painter and botanist. Hutchison made several films in the Arctic, including Greenland, Alaska and Canada – and has an archive in Royal Botanic Gardens Edinburgh (RGBE) of plants collected and drawings made on her travels. JESSIE KLEEMANN is a Greenlandic Inuit performance artist and poet whose work explores modern-day Inuit identity. ATZI MURAMATSU is an award-winning Edinburgh-based cellist and composer. YASMIN AL-HADITHI is a Glasgow-based documentary filmmaker and co-director of Highlight Arctic. This event is supported by Film Hub Scotland (part of the BFI’s Film Audience Network) and the Danish Arts Foundation. 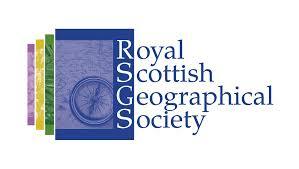 Films courtesy of the Royal Scottish Geographical Society. On Monday 11th December, we will be bringing this event to audiences in Inverness! What do you expect when going to a refugee camp?